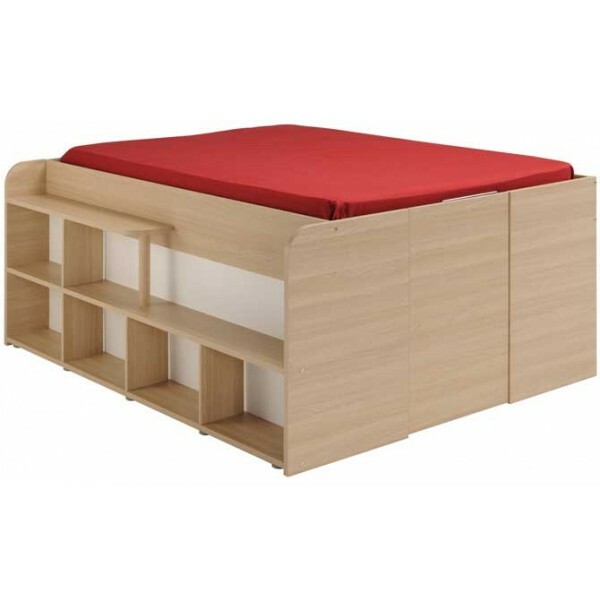 Add an injection of style to the bedroom with the Parisot Space Up bed. This double bed sits on a raised platform with a fantastic storage area underneath. 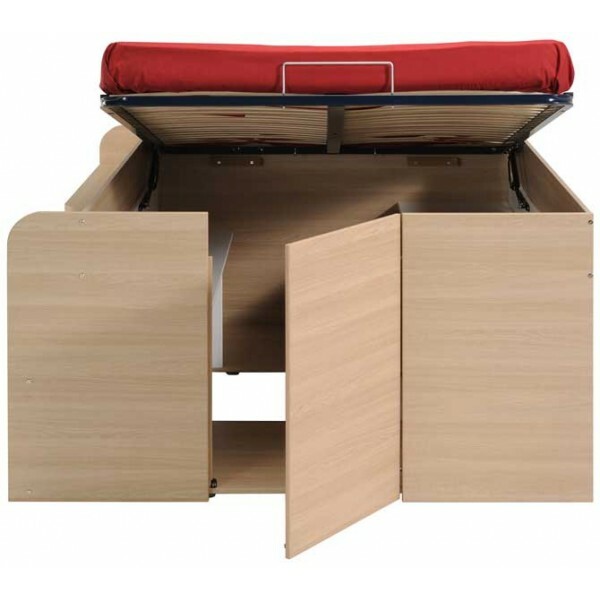 The storage is accessed by opening the base door and effortlessly lifting the mattress. You will find an array of storage made up of drawers and shelving which are perfect for clothing , shoes, bedding and whatever else you wish to tuck away. The bed is finished in the beautiful natural tones of Brooklyn Oak wood effect and white and will match seemlessly with our Parisot galaxy collection in Brooklyn Oak. Please note it can only be built in the configuration shown not with the shelves at the other side. 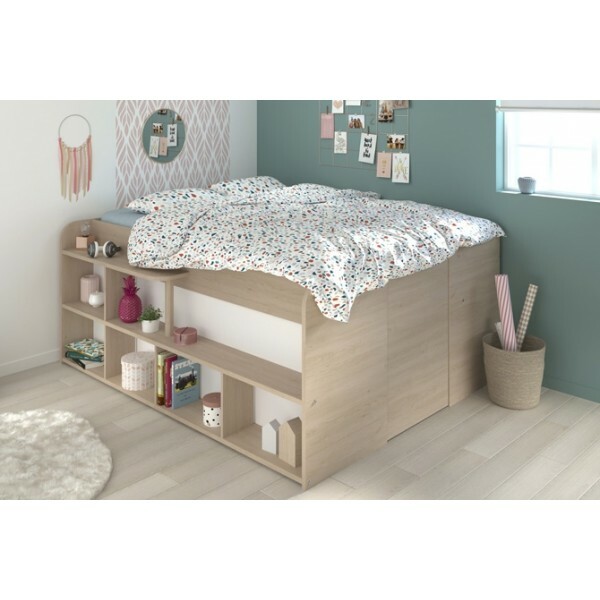 To give your parisot Space Up bed that finishing touch why not add the Parisot Galaxy headboard in Brooklyn Oak. 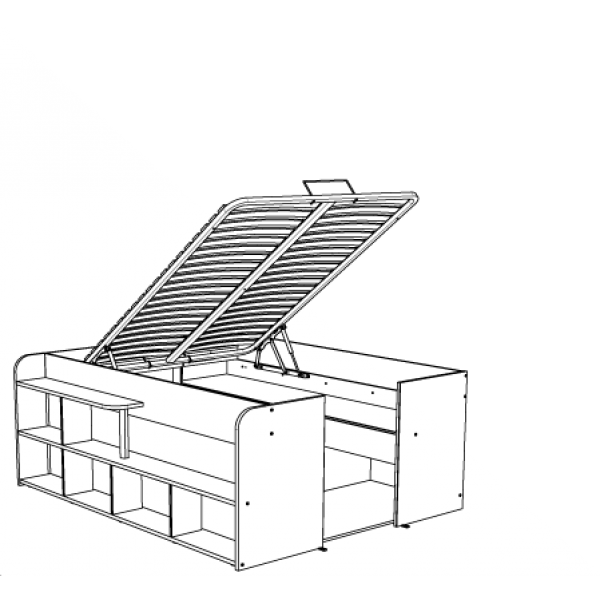 Please be aware that when the cupboard door beneath the bed is open the total bed length is 262cm, however it can be built without the cupboard door. Your Space Up bed can accommodate both a UK double mattress 140cm x 190cm and a European mattress 140cm x 200cm as although the length of the bed is fixed at 207cm the mattress base can be adjusted. Please view the assembly instructions below for further details.